Members of the “A??? 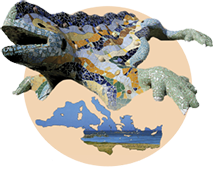 sections of the Academia Europaea are encouraged to submit a proposal. The closing date for the nomination is the 15th of February 2014. The Erasmus Medal is awarded on the recommendation of the Council of Academia Europaea to a scholar (not necessarily a member of the AE) who has maintained, over a sustained period, the highest level of international scholarship. You can read more about the Medal, the nomination and selection processes, and the former medallists on the following website.